Maternal exposure to high levels of persistent organic pollutants (POPs) and trace elements is an important concern for fetal growth. In our previous study, we showed the polychlorinated biphenyl (PCB) levels in maternal serum from the Chiba Study of Mother and Child Health (C-MACH) cohort and their relationships between PCB levels in cord serum with birth weight of newborn. Various reports on the relationship between chemical exposure and birth status have been published; however, studies that analyze the effects of both PCB and metal exposure together in one cohort are still limited. In this study, we aimed to determine the relationship of maternal serum levels of PCBs and toxic and essential trace elements [mercury (Hg), manganese (Mn), selenium (Se), and cadmium (Cd)], with birth weight and head circumference, in the C-MACH cohort. The median concentration of total PCBs in maternal serum around 32 gestational weeks (n = 62) was 360 pg g−1 wet wt (41 ng g−1 lipid wt). The levels of Hg, Mn, Se, and Cd in maternal serum were 0.89, 0.84, 100, and 0.024 ng g−1, respectively. In this study, the Bayesian linear model determined the relationships of the birth weight and head circumference with combinations of PCB levels, toxic and essential trace elements, and questionnaire data. We found that PCB concentrations in maternal serum were weakly and negatively related to birth weight, whereas trace elements were not associated with birth weight. Serum PCB and Mn levels were negatively associated with head circumference, whereas other trace elements were not associated with head circumference. 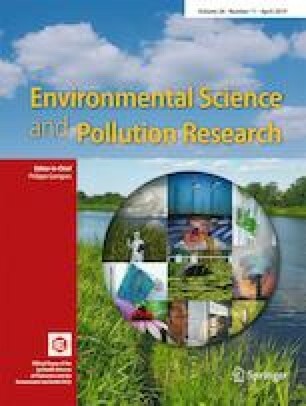 These results showed that maternal exposure to PCBs may be related to birth weight and head circumference, while maternal exposure to Mn is related to head circumference, even when adjusted based on the exposure levels of other contaminants, and maternal and fetal characteristics. Therefore, our findings indicate that maternal exposure to PCBs and Mn might be negatively related with birth weight and head circumference. The online version of this article ( https://doi.org/10.1007/s11356-019-05009-0) contains supplementary material, which is available to authorized users. This study was supported by the Grant-in-Aid for Scientific Research (A) (grant numbers: 16H01781) and Grant-in-Aid for Young Scientists (18 K18199) from the Japan Society for the Promotion of Science (JSPS). This study was also supported by the Environment Research and Technology Development Fund (5-1652) from the Ministry of the Environment (MoE) of Japan. The funders had no role in study design, data collection and analysis, decision to publish, or preparation of the manuscript. Informed consent was obtained from the participants. This study was approved by the Biomedical Research Ethics Committee of the Graduate School of Medicine, Chiba University (ID 451: 8 November 2013; ID 849: 27 March 2018).